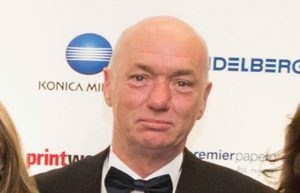 Martin officially ‘retired’ from First 4 at the end of October, but we hear he’ll still do about four months a year at the Blackburn company, which recently carried off PrintWeek’s SME Company of the Year gong. He has spent 43 of his 59 years in the industry, and is married with four children, two of whom followed him into print. Who do you admire most in print?